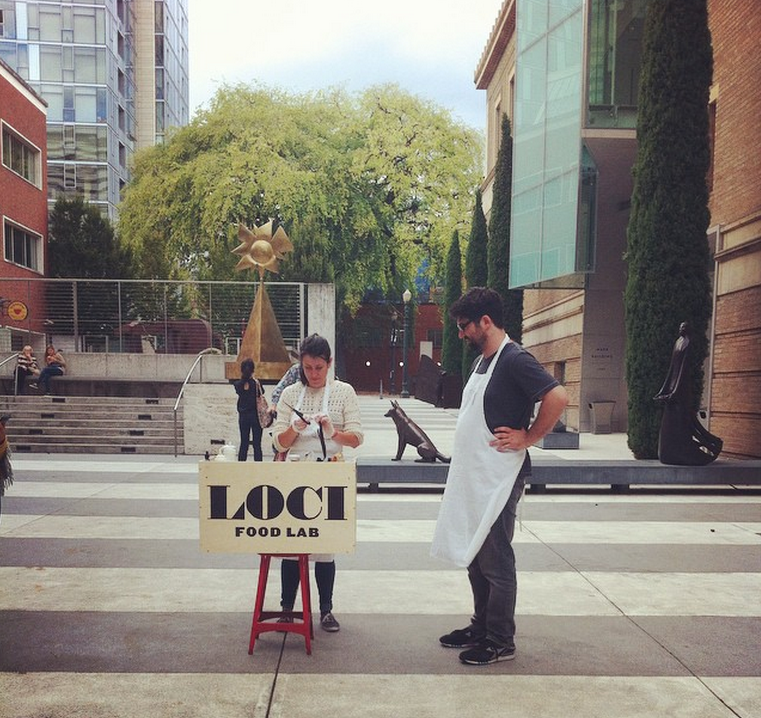 The LOCI Food Lab (“Bite-sized Bioregionalism”) is a traveling food stand for prototyping, serving and debating a range of bioregional food futures in different cities around the world. 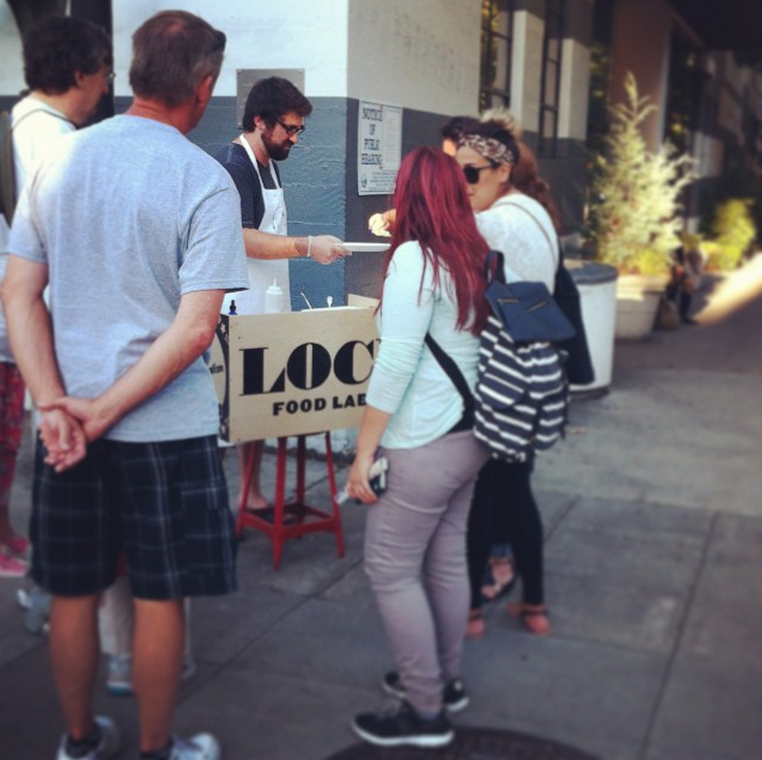 Visitors to the lab identify the attributes of the food system that are important to them, and are served a customized snack, created for them from our menu of possible ingredients. 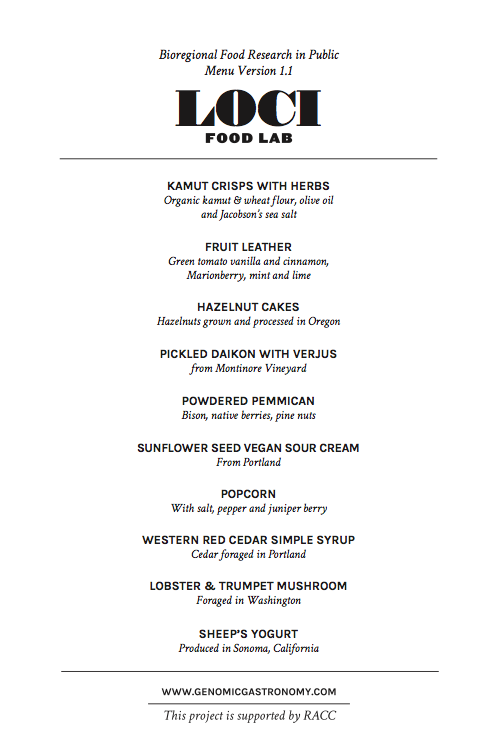 In collaboration with Heather Julius we developed a final menu for Portland, Oregon (Cascadia) which contained a selection of old, new and unusual ingredients that were sourced from around the bioregion and would all taste good when combined in different configurations. 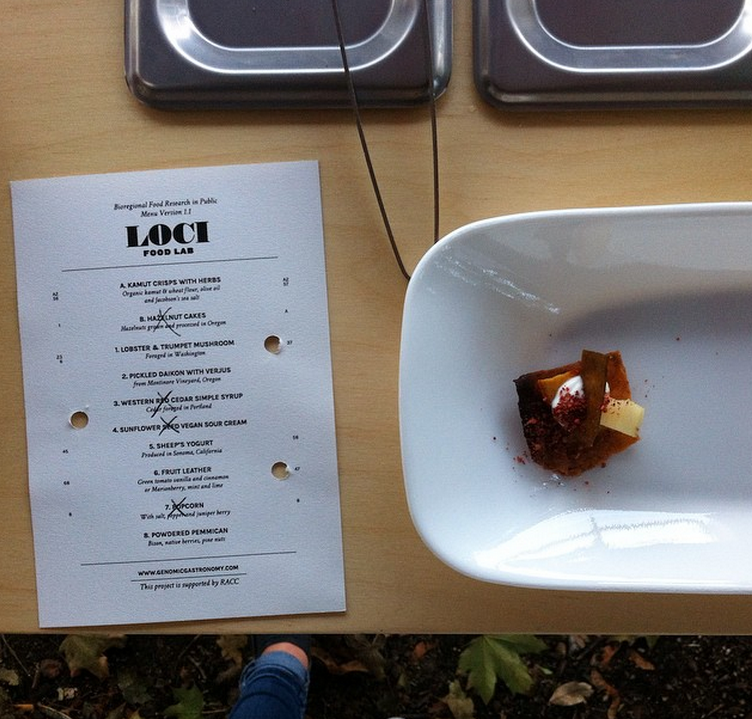 Visitors to the stand use a 1-hole punch to mark their preferred attributes on a menu card. 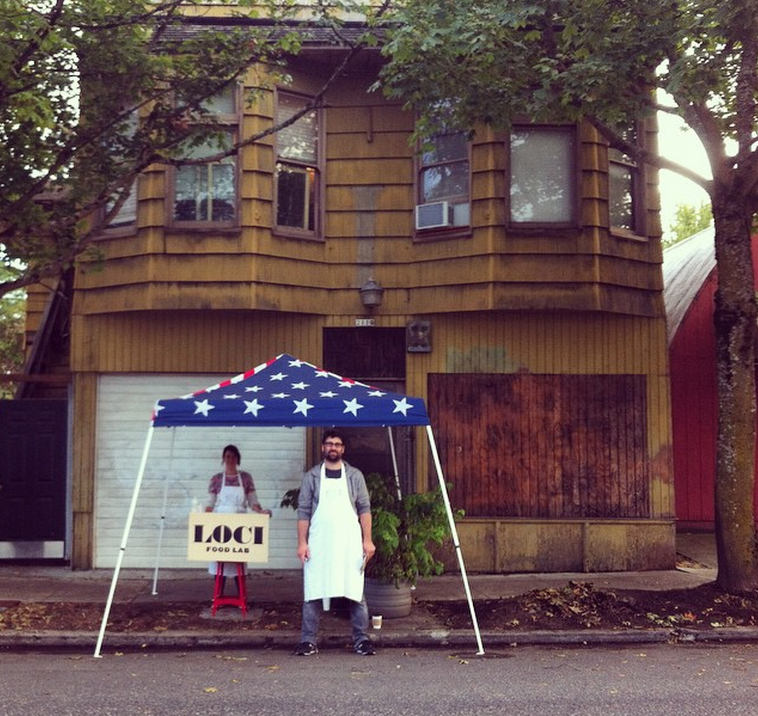 These choices are translated into a selection of 9 possible ingredients that form a customized snack. While serving this snack, we have a conversation about their preferences, ideals and the flavor of the snack we served them. 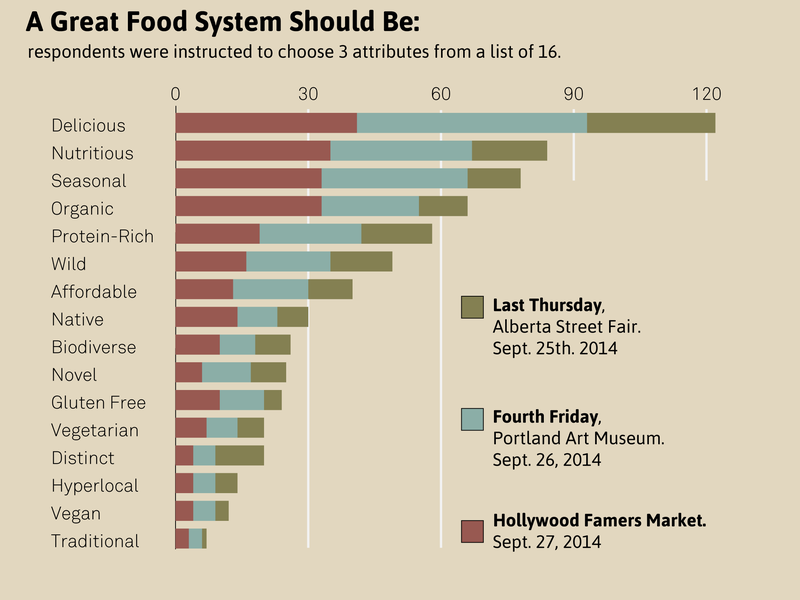 At these 3 events, we recorded the food system preferences of 225 people, and served many more. 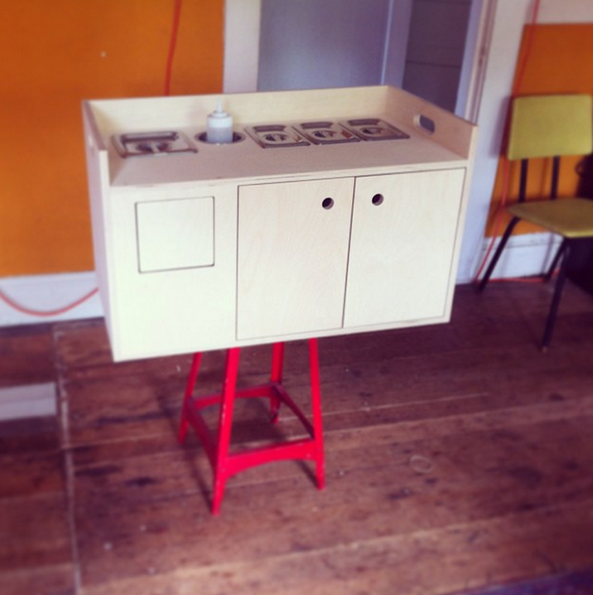 (Some visitors chose their preferences in pairs or groups, and were served the same dish). 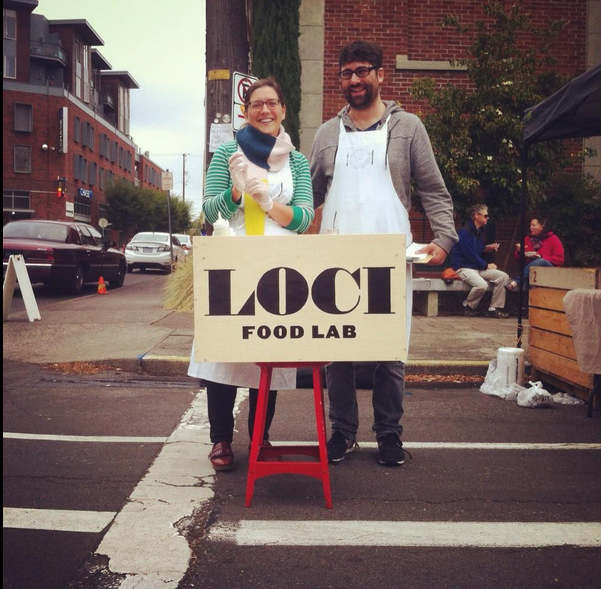 The work has been supported by a RACC grant, and is currently en route to Scotland, where we will be conducting the next LOCI food lab at Scottish Parliament on November 25, 2014 as part of Nil By Mouth: Food, Farming, Science and Sustainability.